US Energy Secretary Rick Perry. Photo by Michael Vadon, Wikimedia Commons. U.S. Energy Secretary Rick Perry has come up with a controversial plan to slow the closure of coal-powered fire plants, under the guise of stabilizing the power grid. 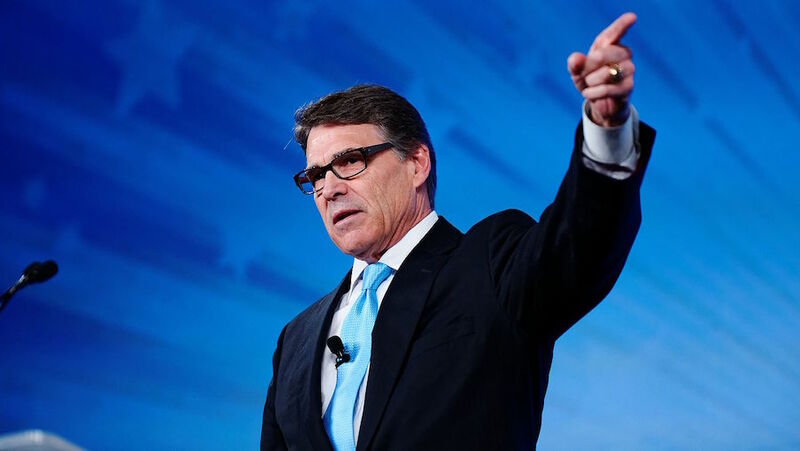 The background of the yet-to-be-passed policy dates back to April, when Perry instructed his second-in-command to develop a 60-day review that looks at how regulatory burdens, subsidies, and tax policies “are responsible for forcing the premature retirement of baseload power plants.” He also wanted to know whether wholesale energy markets adequately compensate actions that, in his view, strengthen grid resilience such as on-site fuel supply usually provided by coal and nuclear plants. The view of Perry and the current DoE is that America's power grid would become vulnerable if more coal-fired power plants – a form of reliable baseload power – were to close down. It cites the 2014 polar vortex in the Arctic, which sent most of the country into a a deep freeze and hiked electricity demand, as an example of a situation that put the power grid in jeopardy. To counteract such a threat, the energy department is suggesting that power plants with fuel on site would be a bulwark against such events. Perry and the DoE issued a Notice of Proposed Rulemaking (pdf), or NOPR, which, if enacted, would dramatically alter the power sector. The NOPR requests that the Federal Energy Regulatory Commission (FERC)—an independent agency that regulates electricity transmission—require utility companies to pay not just for the electricity they buy from power plant companies and supply to consumers, but also for the fixed costs associated with power plants that keep 90 days of fuel on site. That sort of “cost recovery,” as it is called, would be largely unprecedented. The only power plants that keep fuel on site are coal and nuclear plants; non-renewable energy plants that produce electricity from wind and solar do not consume fuel. Natural gas plants get their fuel from pipelines not from stockpiles.